Home » Blog » Good and Bad Leadership Qualities: What Are They? It’s possible to have good and bad leadership qualities, but you can’t be a good and a bad leader. There are certain characteristics in a leader that defines you on either end of the spectrum. It is not an easy thing to be a leader, and a good one for that matter. Think of it as a constant and ongoing cycle of evolving and developing yourself to improvement. As a leader, you’ll be in charge of a bigger workload, have more responsibility and be accountable for more than one person. This is a hard task to take on, which is why being a leader is not a job for just anyone. There are only selective people who are capable of handling the role of being a leader; they should also decide what kind of leader they want to be. If you’re thinking about a good leader then the first answer one could think of was Warren Buffet. Warren Buffet is a business mogul and the CEO of Berkshire Hathaway. He’s also a very well-known self-made businessman who kept developing in order to make it to the Big Leagues. Buffet has had the ability to inspire and soothe others, due to his philanthropic causes and public speaking. He is a firm believer that the best leaders are storytellers who turn crises into stories to learn from; Buffet believes so because he belongs to the category of great leaders. Buffet is famous for being good at four things: making money, building companies, teaching and storytelling. These are qualities of effective leadership and the ability to impact those who surround you. According to the business hero, leadership is a skill, instead of an inherent talent. In order to understand what kind of leader you can be, you need to know what leader you are. What Is Effective Leadership and the Traits of a Good Leader? It’s understandable that you would ask this question to yourself, at least once. There are so many qualities to define a good leader; however, it is easier said than done. According to Taskque, there are key traits that make any good leader. A good leader is a person with more authority than everyone else, but has the ability to inspire and motivate those inferior to them. A good leader is a person who is accountable for their actions and the actions of those responsible of. He\she must also have excellent decision-making capabilities, because leadership is all about making the tough choices. Other positive leadership traits are honesty and innovation, the ability to create new things and be transparent about their actions. A good leader should be able to transfer their power and responsibility to other people, instead of monopolizing their authority. He/she should also be able to boost their team’s morale and motivate for better productivity. You can consider this as one of the most vital traits of leadership. Along with motivation, an essential trait is the self-confidence to be able to take on such an important role in the workplace. Self-confidence and confidence in others are qualities of a good leader, because it shows that they trust their team. It’s important for other people on the team to feel important and indispensable to the leader; this lets the team members offer more efficient productivity and loyalty to the leader. Despite that, good leadership qualities are not black and white, it’s a grey area. There are good and bad leadership qualities in every leader. A leader is also a human being who is bound to make a mistake, so the environment the leader is surrounded by should understand. A good leader should be able to think of a future, in a smart and realistic manner. They should be able to think of different scenarios of what the future holds, so they’re prepared for anything. Any leader who has a vision for the future will be able to handle any obstacle that occurs. They will have forecast any forthcoming issue. Besides having a vision for the future, a good leader should be able to make a decision in a timely manner. This means that a leader needs to make the right choice at the right time-frame, and whenever necessary. Any decision made by a leader has a large influence on the rest of the team and towards the public. It depends on what kind of aspect the leader is associated in. A good leader would have to think long and hard before making a decision; however, once the decision is made, there is no going back. A good leader would stand by their choice and justify it in any circumstance. The leader makes the final decision, but a good leader refers to other people who will advise and discuss any major decision. A leader must acknowledge that other people are affected by the decisions they make, either benefiting or suffering from it. As for accountability, a good leader should be able to hold their subordinates responsible for their actions. In this context, if a subordinate has been doing well, then they deserve a reward. And, if a subordinate makes a mistake, then they should be held responsible and work together to improve. A good leader holds his/her subordinates accountable will provide some responsibility among the members and they’ll take the job more seriously. This will also give off the impression that the members are important. Another aspect of accountability is when a leader is blamed and held accountable for their actions and his-or-her subordinates’ actions. This shows that the leader protects their own and will stand by them in public, despite reprimanding them in public. A good leader must understand that they cannot do everything on their own; it’s important for a leader to concentrate on the principal tasks while leaving the rest of their responsibilities to others. A leader can do so by delegating tasks to other people. This reduces stress and gives the subordinates a chance to prove themselves. Delegating is a positive leadership trait while micromanaging is a poor leadership quality. Micromanaging will lead to distrust among subordinates and eventually the leader will slip up with a mistake. As for empowerment, it’s very important for a leader to persuade others to follow through example. Setting a good example for subordinates gives them something to work towards becoming; it also increases morale and productivity. People work better when they know they are making a difference. As a leader, others will constantly look to them for guidance in any tough situation. Good leaders should spread positive vibes and encourage a positive approach in every situation, to assure the subordinates and keep calm. 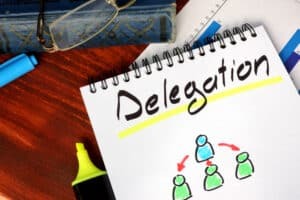 Delegation and empowerment are key tools to being a good leader; it shows the importance of team work and the ability to transfer power, instead of monopolization of authority. Most ineffective leaders fail because of they are incapable of delegating tasks and such; it’s a very hard task to do but necessary to execute. Honesty and empathy are two synonymous qualities that are essential in a leader. It is the ability to tell the truth, at all costs and under any circumstance. 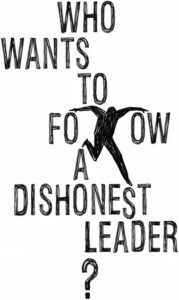 As mentioned above, a leader’s looked to as an example and being honest is a redeeming quality for a leader. Good leaders have succeeded by maintaining and standing by what they believe in, unapologetic-ally. Examples of these leaders are: Martin Luther King Jr., Mahatma Gandhi, and Nelson Mandela. These fine men did not give up their values and they knew that without their ethics, nothing is possible. Along with honesty, also known as transparency in the corporate world, empathy’s just as important to become a good leader. However, many leaders fail to develop empathy because of their dictatorial methods that hinder empathy. Empathy helps the leader understand their followers and connect with them. Leaders sympathizing and understanding the problems of their subordinates is the first step to becoming an exceptional leader. Creativity and innovation are must-haves in this fast-paced world, especially with the average attention span reducing to almost non-existent. Being innovative means being open to thinking outside the box and coloring outside the lines, this means that a leader should be open to eccentric ideas and what they have to offer. Creative thinking and innovation are the two principal points that will make the leader different from everyone else. Honesty, empathy and innovation emphasizes on the leader’s character and his attitude towards his subordinates. A good leader would attempt to master all of the aforementioned qualities to achieve effective leadership. However, there are good and bad leadership qualities, but it’s not always that simple. What Are Leadership Weaknesses and the Qualities of a Bad Leader? There are a lot of horrible bosses out there and it’s inevitable to fall into one or become one. According to psychologist Robert Hogan in the American Psychological Association, there is 75 percent of employees that report that their immediate boss are the worst part of their job. There are good and bad leadership weaknesses; we’ve talked about good leadership qualities and now we’re going to talk about bad leadership qualities. If you’re a leader then you should look out for the warning signs that make you one of them. However, if you find yourself as a bad leader, don’t worry. There are ways to improve it, once you’ve acknowledged your shortcomings. Good and bad leadership qualities are evaluated by your peers and your subordinates. It would be effective to ask them for advice on your performance. The characteristics that define a bad leader are as follows: lack of adaptability, poor communications kills and lack of enthusiasm. These three traits are poor leadership qualities that affect the entire mechanism of a leader. It can also affect the performance of your subordinates and lead to disloyalty among them. Although good and bad leadership qualities are subjective, but there are qualities that are predetermined. The aforementioned traits are predetermined as poor leadership qualities; they tend to decline the team’s performance. Experts suggest that if you consider yourself a bad leader, then you should look through your past performances and evaluate yourself. It is never a bad idea to self-improve and gain emotional intelligence in the process. Later on, you’ll determine those poor leadership traits that are the most tough to deal with, according to employees around the world. By showing you what those traits are, then you’ll be able to understand where you might have went wrong. The first step to becoming a good leader is acknowledging your mistakes. Fantastic leaders realize how to use a variety of leadership styles, depending on what the scenario requires. The easy reality is that not all employees are encouraged with the same elements, and there’s no “one-size-fits-all” approach. Good leaders recognize this and are fluid. Negative leaders may be invested in their specific approaches and unwilling to adapt to what the subordinates requires. You’ll find that a bad leader is incapable and sluggish to evolve under changing conditions. They’ll be demonstrating a “my-way-or-the-highway” mind-set, making them a poor leader. Creating a plan for your employees is a matter that shouldn’t go unnoticed but frequently slips through the cracks. Having a growth and development plan for your subordinates is both effective and makes them more ambitious. However, not everyone invites change; only good leaders understand that change is inevitable. Ineffective leaders avoid change at any cost and attempt to keep the status quo, in any way. This could be the refusal of new systems, any innovations or opinions that are ‘outside the box’. As for lack of transparency, staff can tell while you’re not being completely sincere with them. There’s not often a reason not to be totally transparent with your team, especially if they’re loyal to you. Your subordinates will respect a need-to-know basis when it comes to where the organisation stands. This will assist everybody coming together as a crew, targeted on the problems that need fixing for the lengthy-term advantage of the corporation. Loss of transparency can result in a lack of trust and loyalty to you and your cause. The lack of trust could lead to the failure of the cause you are leading. It could also lead to the end of your time as a leader. Part of feeling empathy for someone else is being capable of listening to what they have got to say, truly listening and being able to effectively respond. Negative leaders will be most responsive and aware of the ideas that are from their very own angle. They may push aside differing critiques and opinions. Bad leaders will no longer engage when their subordinate disagree with them and their idea. They will keep away and avoid having open discussions with those around them. Terrible leaders could just constantly revert and refer to their own opinion when making all decisions. Poor leaders, also, fail to inform others of any decisions being made, big or small. They don’t clarify the important things with the people who work for them; it also surprises them when others don’t apprehend the essential aspects, despite not being told. Bad leaders don’t ask for feedback, or are dismissive of it when they get hold of it. Proper leaders lead by example in any way they can, by showing their subordinates the right way to do things. Leaders who are inconsistent of their behavior will speedily convince others that they are not dependable enough to be the head of tasks; this also shows how incompetent and irresponsible they are. A leader who is inconsistent and changes their mind leads to confusion and mixed signals among all people around them. Inconsistency can lead to a team being baffled and pressured. It could increase the likelihood of costly and time-consuming mistakes and neglected connections. Along with leaving room for mistakes, the leader looks unable to handle the workload that was handed to them. These poor leadership traits emphasize the importance of the leader gaining the trust of their subordinates, a symbiotic relationship. Good and bad leadership qualities are also measured by the amount of trust between them. Good leaders will take responsibility for their actions and guard the ones around them. Terrible leaders will do precisely the opposite. They may blame the ones around them and could evade their responsibilities to save face. The blame game has been confirmed as a fixture of the behavioral pattern, according to LeadersManagement. It could be difficult to regain morale from the subordinates that surround them. In avoidance to seeking out scapegoats, properly leaders look for partners of their team to clean up any messes. They also expect their partners to deliver lasting solutions that work. As a leader, you should accept the duty for any of your group’s mistakes. At the end of the day, you hold all the obligation of your subordinates, so allow your team to understand that mistakes are understandable. Then propose solutions instead of assigning blame. Leaders ought to recognize the issues their inferiors face, and start doing whatever it takes to eliminate barriers. This will give access to their team to provide the best productive of quality work. These boundaries are related to a lack of resources, a lack of path and a loss of subculture. In reference to lack of empathy, unresponsive leaders will frequently be incapable to emotionally understand their inferiors. They will also be unable to relate with those around them. Bad leaders will additionally dismiss the wishes or requests of those around them as unimportant or trivial. Empathy requires the capability to apprehend and amount the emotions of another; whereas sympathy means feelings of pity for another person’s affairs. Empathy requires an excessive degree of emotional intelligence and is regularly under-utilized in instances of bad leadership. A good leader should have both empathy and sympathy towards their subordinates. The good and bad leadership qualities revolve around the person who is called the leader. Every leader faces challenges and situations every day that test their patience, skills, and mindset. There is no magical, drama-free team. What separates a good leader VS bad leader is how they handle the challenges they face every day. The good and bad leadership qualities are all that defines a leader, which shows just how important good and bad leadership qualities are. Good and bad leadership qualities measure a leader in both tough decisions and at a deafening lull. A good leader should be able to make the right decision, apply accountability and be able to delegate. They should also be empowering, honest with their subordinates and encourage innovation. Finally, a good leader should be “one of the men” to understand the needs of their team. A poor leader would be a leader who is slow to change, has poor communication skills and lacks empathy. They would also lack transparency, assign blame to their inferiors, and be inconsistent in their workings. In addition, a bad leader would be the kind of person who wouldn’t ‘get their hands dirty’ and remain at the top, without looking at their team from within. In conclusion, if you’re a good leader, there is always room for improvement. You can always try to push your potential as a leader to the fullest. Consider even developing other leadership skills to improve yourself as a leader. If you’re a bad leader, then you’ll always be able to start fresh and fix your mistakes. As a leader, you will have your actions and your subordinates’ actions under your responsibility. You must acknowledge the mistakes you’ve been making, and start improving the most important traits for your team.